Our monitoring system enables acquisition of high-quality combined video-EEG-ECG for up to 10 days. The monitoring system is fitted at one of our clinics. This typically takes 1 hour. Prior to the appointment, we provide instructions on how to prepare and what to expect. 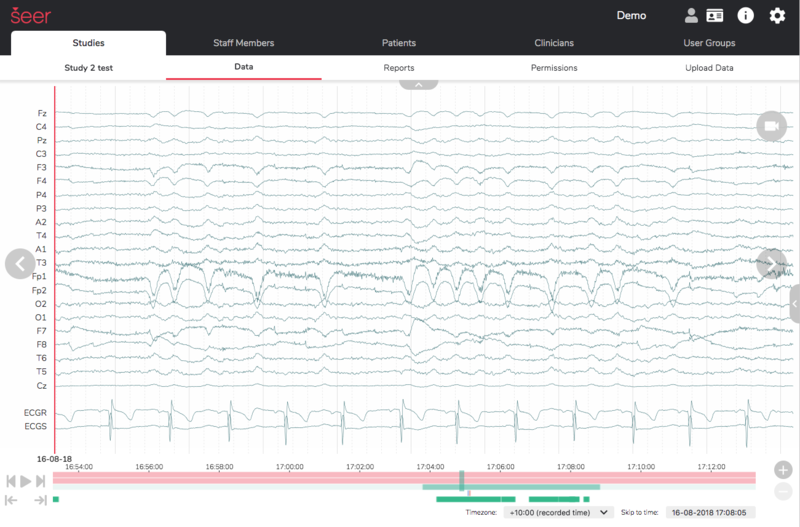 After connection, ambulatory video-EEG-ECG is recorded in the home for 7 days (max 10 days). The monitoring system is disconnected at one of our clinics. This typically takes 30 minutes. Data is analysed on the Seer cloud, and is made available on our web platform. A quantitative diagnostic report is shared with refering doctor via our web-platform or fax. Our 10-20 EEG and ECG setup is uniquely designed for long-term comfort and stability. A wide-angle HD video camera captures symptoms, and all of this is streamed to Seer Cloud so you get the full picture.